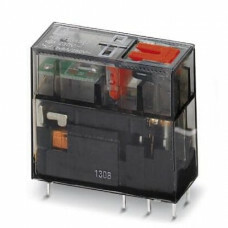 These are handy two pole - double throw (2PDT) sealed relays. This means that when current is applied to the coil it throws a simple changeover switch. These can be used to switch high voltage/high current devices easily and safely.